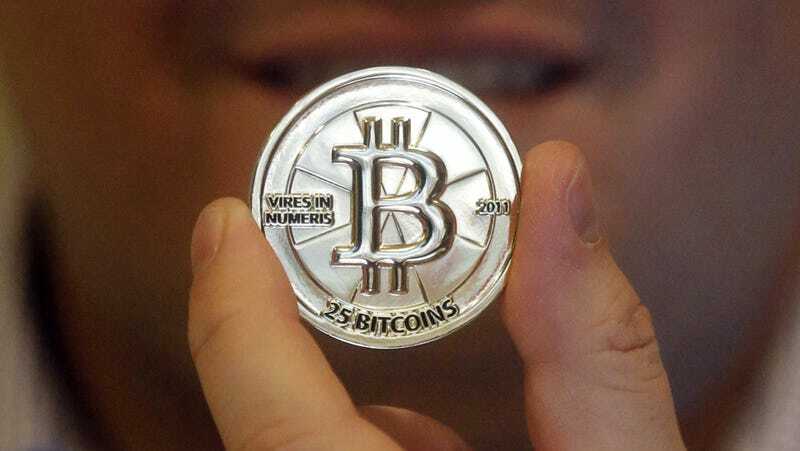 A metal token representing a bitcoin. File photo. Canadian crypto exchange QuadrigaCX says it cannot repay most of $190 million in client holdings after its 30-year-old founder Gerald Cotten, the only person who knew the passwords to its “cold storage,” unexpectedly died in India in December 2018, Coindesk reported on Friday. The exchange holds roughly 26,500 bitcoin ($92.3 million USD), 11,000 bitcoin cash ($1.3 million), 11,000 bitcoin cash SV ($707,000), 35,000 bitcoin gold ($352,000), nearly 200,000 litecoin ($6.5 million) and about 430,000 ether ($46 million), totaling $147 million, according to the affidavit. It was not clear what portion of the exchange’s crypto holding were kept in cold storage, versus its hot wallet. In the affidavit, Robertson explained that “only a minimal amount of coins” were stored in the hot wallet, but specifics were not provided. While Robertson has Cotten’s laptop in her possession, CoinDesk wrote, she says she does not know the password, and a technical expert recruited by the firm has been unable to bypass its encryption. She also says Cotten left behind no business records. Some other reporting has suggested it is possible some of the funds in question moved after the case was publicized, and though the evidence was not definitive, it and the strange circumstances of Cotten’s death spurred accusations that his demise was either faked or the pretext for an exit scam by other parties with access to the holdings, according to CCN. However, Robertson included a death certificate in the filings, CoinDesk wrote. According to CBC, the government confirmed a Canadian had died in India, but could not offer more details due to privacy laws. As CBC noted, the Canadian Imperial Bank of Commerce froze $26 millions worth of QuadrigaCX’s assets in January 2018 “after finding irregularities with payment processing,” and a document from the Ontario Superior Court of Justice in 2018 concluded that “$67-million worth of transactions ended up improperly transferred into the personal account of Costodian Inc, the payment processor.” The issue was resolved, though according to CoinDesk, QuadrigaCX says the legal fight as well as ongoing issues with payment processors has “severely compromised” their ability to access tens of millions of dollars’ worth of holdings held by the processors. A 2017 Wall Street Journal article noted that unlike stock exchanges, which only facilitate transactions, crypto exchanges are uniquely vulnerable because they store cryptocurrencies for their customers. However, typically the threats associated with this practice are hackers and other cybercriminals, rather than lost passwords. In the filings, Robertson wrote that the exchange “urgently needs a stay of proceedings which will allow Quadriga and its contractors additional time to find whatever stores of cryptocurrency may be available and also to negotiate the bank drafts available to Quadriga,” CoinDesk wrote.